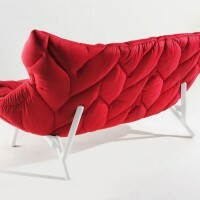 Patricia Urquiola has designed the Foliage sofa for the Italian manufacturer Kartell. Dialogue between natural realities and artificial Foliage, the sofa clearly bears the graphic hallmark of Patricia Urquiola as an object that looks as if it just grew naturally in plastic. 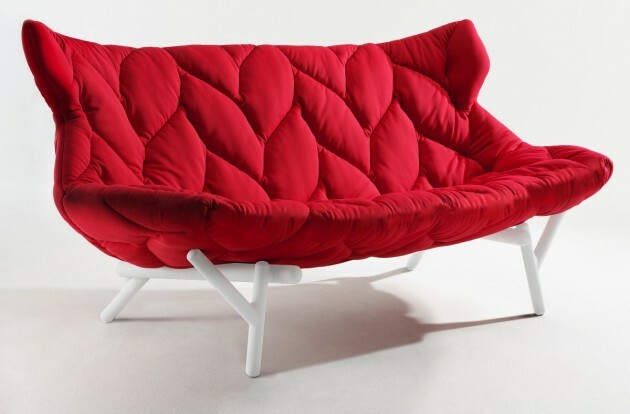 The leaves form a crown resting on a framework of branches which virtually form a seat. Foliage is a sofa with great personality featuring a seat with top-stitched embroidery on four round legs. 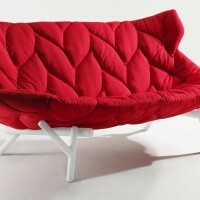 Cosy and soft, Foliage offers two roomy seats. The top-stitching runs over the entire surface and on the back too making the sofa a standalone piece that can be placed even in the centre of a room and seen from all sides. Visit the Kartell website – here.